Every term Warwick University hold an event called “Skool Dayz”, where you dress like school kids and dance to school disco songs. As someone that has particularly outdated music taste- this is my cup of tea! Put me in a club playing busted, mcfly, Blink-182, Fatboyslim, spice girls and Robbie Williams and I am in my element. 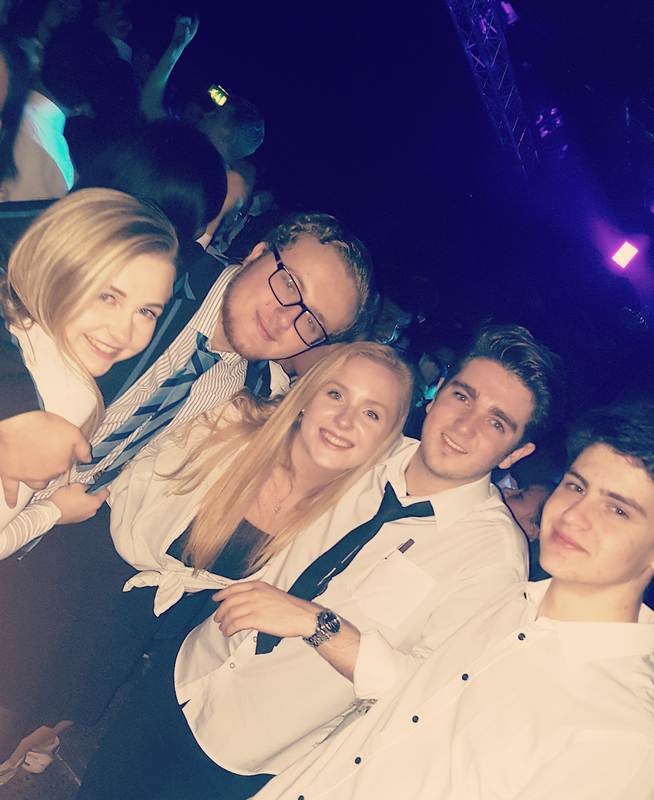 We had predrinks at Jack’s University halls, as it was an SU event, then headed over to the copper rooms. Drama- a group of girls got in a trolley and tried to mount a curb… was never going to end well. The University Security team, first aiders and an ambulance later- turns out they had just had that little bit too much to drink. I made a friend in the loo- I always love this, she complimented my eye liner, I complimented her outfit and I’m pretty certain she won’t remember the conversation. Overpriced drinks- but that’s why you budget! If you enjoyed reading this, or want to read more, please like and follow!